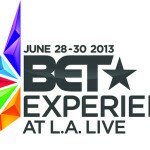 BET Experience 2013 BEYONCE TOUR KICK OFF on Flickr. Soul Train Awards 2012 hosted by the Original King of Comedy and “Soul Man” actor Cedric “The Entertainer,” is headed to Las Vegas for its annual night of music and honors. Featuring a Lifetime Achievement Award presentation to New Edition, and live performances from today’s top music superstars; Soul Train Awards 2012 will premiere simultaneously on BET and Centric on Sunday, November 25th at 9pm*. The Soul Train Awards acknowledges the achievements of today’s most famed entertainers in multiple categories. This year, with two nominations, including Album of the Year, R. Kelly will be the most nominated artist in Soul Train Awards history. R&B superstar Usher is also making Soul Train Awards history with five nominations including nods for Song of the Year and Album of the Year; surpassing both Michael Jackson and Beyonce in total nominations in a lifetime. International songstress Estelle leads women in nominations with three nods including Song of the Year for “Thank You” and Best Female Soul/R&B Artist. Rapper Nas also receives three nominations, including Album of the Year for “Life is Good.” Singers Trey Songz and John Legend, who received two nods each, will compete in the Song of the Year category with Estelle, Usher, Tyrese and Wale. The late Whitney Houston and Amy Winehouse each received a posthumous nomination. The Soul Train Awards is a presentation of Centric and Sunseeker Media and directed by Manny Rodriguez. Paxton Baker, Tami Willis-Arasli, Derek Lewis, Centric; Bart Phillips, Sunseeker Media; and Soul Train Holdings’ Kenard Gibbs will all be the executive producers of the network telecast, along with Cedric Kyles and Eric Rhone. Soul Train Awards 2012 will air on BET and Centric on Sunday, November 25th at 9pm*. BET Networks’ Music Matters has teamed up with Kendrick Lamar for a 23-city tour that kicks off in Norfolk, VA on Friday, September 7th, 2012. Schooled on the streets of Compton, Lamar grew up in the 90’s era of west coast hip hop and the influences are clear. He’s quickly b ecome a favorite of musicians, hip hop bloggers, tastemakers and fans alike. Personally signed by Dr. Dre to Aftermath Entertainment by way of Top Dawg Entertainment in March, the Music Matters Tour featuring Kendrick Lamar kicks off in time for the release of his first studio album with Aftermath Entertainment /Interscope Records “good kid, m.A.A.d. city,” which drops October 2nd, 2012. Kendrick is one the most prolific and phenomenal artist emerging today. His music, style and flow brings a fresh and important perspective to hip hop and we are proud to leverage the BET Music Matters brand to expose hisamazing talents to the masses,” said Kelly Griffin, BET Senior Director Music Programming. “More than a hip hop show, it’s an experience worth a life time,” said Kendrick Lamar about the upcoming tour. BET Networks’ Music Matters is an initiative dedicated to seeking out emerging artists devoted to creating music of the highest quality. By bei ng associated with BET Networks, Music Matters is a powerful way for new musicians to connect with existing fans and to be introduced to a wider audience. The BET Networks’ Music Matters Tour employs a multi-platform approach to engage our audience including on-air promotions that reach over 90 million households, live appearances on 106 & PARK, the BET.com online portal and our award-winning mobile applications. For continuing information on all BET Networks programming, check out our website at www.betpressroom.com and follow us on Twitter at @BET_PR.